Hi, welcome to my little corner on the web. Let me introduce myself, I’m David. I have two gorgeous girls and a beautiful wife at home to keep me busy but when I do get sometime to myself I enjoy nothing better than turning on my kindle app and reading a few chapters of a good book. Mainly I’m into science fiction, historical fiction or fantasy books but I can enjoy pretty much any genre. This is where this page comes in. I’m hoping there might be some similar people to myself who came to reading later in life that might find some of my reviews helpful. I myself came to reading just over 3 years ago. I struggled as a child to read due to my eyesight. The print of a book would always go blurry after a few minutes of reading and I just never liked wearing glasses. Then I bought myself a tablet and installed the kindle reading app and I’m reading books like they are going out of fashion! I also see a lot of people mark a book down for something they didn’t like.. come on, is one little thing worth knocking the book down to a 1 or 2* review. I try to be as fair a possible. If something doesn’t work I’ll let you know but if it’s just something I don’t like I’m not going to be unfairly harsh about it. Hi David, I wondered if you would be interested to review my book The Embroiderer which is on Goodreads and Amazon. I know you will post an honest review which is what I want. I also see that you are reviewing Tim’s Zeus of Ithome. I did a great author interview with him on my A Literary World. The Embroiderer is historical fiction. It has just been taken up by a Greek publisher and will be available in Greek next year. That’s fine. Quite understand. Can I send you the pdf arc? Hello. I am also David and appreciated your introduction. I also get rather annoyed at some people’s critical reviews of books, especially when the comments make no sense. ( I recall reading one review of a book written in the 70’s. The negative comment was that the book was dated. ???? He was expecting cell phones and internet.!!!! The book was written 45 years ago. lol.) Or they comment on what they consider historical error. I want to ask if they were there during that period so obviously know more than the author. Anyway. My passion is historical fiction especially British Military. I am a huge fan of Bernard Cornwell, John Wilcox, Michael Arnold, .. to name only a few. Looking forward to reading more. Great to see how popular your blog is becoming. 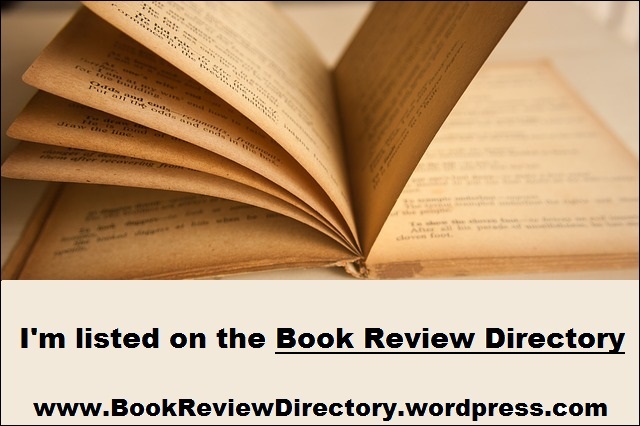 Would you have time to review my new book, Who killed Vivien Morse? Details are below and I’m happy to wait in line. Rural detective mystery based in SW England. 185pages Blurb – Vivien Morse, a young social worker is discovered battered to death in Silver Lady Woods. Everyone assumes she was attacked by her estranged husband until her supervisor disappears. The connection appears to be Vivien’s last client. A damaged and disturbed girl who believes a bundle of rags is her lost baby and never leaves the family farm while she awaits the return of her lover. Hi David.I can see how booked up you are and that your waiting list for reviewing books is 4-5 months, but I would still be very happy if you could add my book to the list. ‘Shadow of the Raven’ is the first of a trilogy (historical fiction – King Alfred’s time) and I’m currently writing the third. The books are self published (Amazon only) and I have either mobi or ePub files. I’ve seen your email address is on this page, but I won’r send the book until I hear it’s OK to do so. I have a WordPress blog, so a reply here will be fine. (I followed you here from Twitter). Sorry for the late reply, i never got a notification off wordpress for some reason so i’ve only just noticed it. I’m really new to this but I’ve read your reviews and wondered if you might take a look at my book. I would love to know your opinion. It’s called The Painter of Siena and is historical fiction so I thought it might be your kind of thing. It’s set in Mussolini’s Italy and follows a young artist and his passion to paint his muse. He paints for the propaganda machine in glamorous and dangerous 1940s Rome. I hope you like it! It’s on Amazon and here is the link.